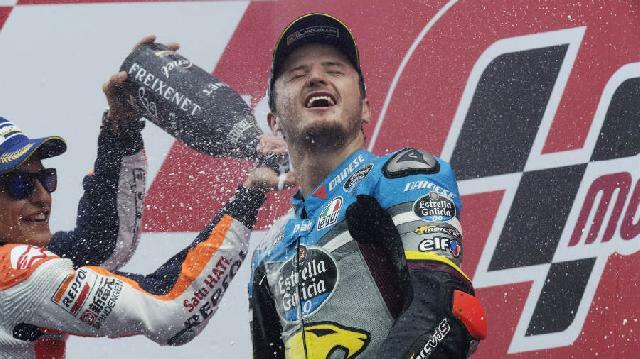 Real Riders: GP Assen 2016 Result, Sensational Victory for Jack Miller! This Sunday we experienced one of the strangest careers but also more fun and exciting in recent years. The final victory went to Jack Miller, in a race that was raced 12 laps after the red flag has taken Race Direction by heavy rain falling on the Dutch track. Miller's victory is the first of an independent team since Toni Elias got the win in Estoril 2006. 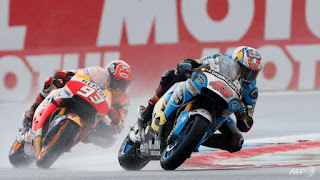 Marc Marquez finished second, but the double MotoGP champions has celebrated as if it were a victory, knowing that their main rivals have not had their best day. Not even close... Jorge Lorenzo has finished tenth and was able to rescue at least some points, but Valentino Rossi has gone down while leading the Grand Prix after the break. Thus Marquez now leads Lorenzo and Rossi by 24 & 42 points. A sufficient distance to go more than a quiet holiday. Scott Redding finished third and satisfaction was also visible in the closed park. Britain has maintained a thrilling battle with Pol Espargaró in the last moments and finally the Pramac Octo has taken the upper hand . The falls have been very numerous, especially in race 2. Regarding the rest of Spanish MotoGP Hector Barbera was sixth, Maverick Viñales ninth, Jorge Lorenzo tenth, Tito Rabat eleventh and Dani Pedrosa twelfth. The Colombian Yonny Hernández , meanwhile, was leading the race during the first race, but the desire has been to him and gone to ruin pulling all your options. MotoGP now rests about three weeks and return to action on July 17 with the German Grand Prix at Sachsenring.